Please fill out the form below if you are interested in volunteering for our community. Thank you for your consideration. If yes, please share with us the place you volunteered at, the position you held, your duties, and dates of service. 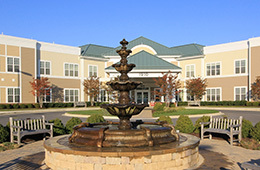 How did you hear about/why did you choose Montevue Assisted Living? Are you Currently Visiting a Resident? Do you have Family living or working here? Are you being required to volunteer for Community Service? If “Yes”, for what purpose? How many hours required? By what date? Individual, Group: Is this Student Service Learning? Can you teach a Craft or Skill? What kind of volunteer work do you prefer? Please list the person's name, relationship, home number, cell number and work number. This will count as your legal signature. *Your signature acknowledges that Montevue Assisted Living is a tobacco free campus. **ALL JUNIOR VOLUNTEERS (under the Age of 18) Please have your Parent/Guardian sign and date below acknowledging and approving volunteer orientation process. Please note volunteers who spend 8 hours or more a week in the community are encouraged to have current PPD and flu shot, both of which are offered at the facility free of charge. All applicants must attend a scheduled orientation and have clearances completed before volunteering. Junior volunteers under the age of 14 must be accompanied by an adult during volunteering times. Please email any further comments or questions to Ryan Stanley at rstanley@montevueALF.com . Volunteer orientations are held monthly on the fourth Tuesday of each month at 3pm. Please call 240-772-9200 for additional information. Thank you for choosing Montevue Assisted Living, we look forward to meeting you.